The post of Controller of the Navy was originally created in 1859 when the Surveyor of the Navy's title changed to Controller of the Navy. In 1869 the controllers office was abolished and his duties were assumed by that of the Third Naval Lord who's title then changed to Third Naval Lord and Controller of the Navy. In 1904 his title was changed again to Third Sea Lord and Controller of the Navy. In 1965 the office of the Third Sea Lord was abolished. The post holder is responsible for procurement and matériel in the British Royal Navy. 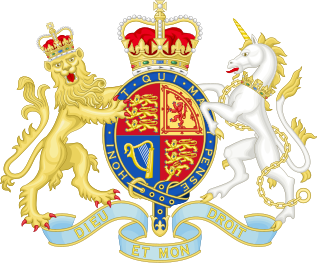 The Navy Board and formerly known as the Council of the Marine or Council of the Marine Causes was the commission with responsibility for day-to-day civil administration of the Royal Navy between 1546 and 1832. The board was headquartered within the Navy Office. The Fourth Sea Lord and Chief of Naval Supplies originally known as the Fourth Naval Lord was formerly one of the Naval Lords and members of the Board of Admiralty which controlled the Royal Navy of the United Kingdom the post is currently known as Chief of Materiel (Fleet). As of 2017, it is also known as Chief of Fleet Support. The Fifth Sea Lord was formerly one of the Naval Lords and members of the Board of Admiralty that controlled the Royal Navy. The post's incumbent had responsibility for naval aviation. The First Lord of the Admiralty, or formally the Office of the First Lord of the Admiralty, was the political head of the Royal Navy who was the government's senior adviser on all naval affairs and responsible for the direction and control of Admiralty Department as well as general administration of the Naval Service of the United Kingdom, that encompassed the Royal Navy, the Royal Marines and other services. It was one of the earliest known permanent government posts. Apart from being the political head of the Royal Navy the post holder simultaneously held the title of the President of the Board of Commissioners for Exercising the Office of Lord High Admiral. The office of First Lord of the Admiralty existed from 1628 until it was abolished when the Admiralty, Air Ministry, Ministry of Defence and War Office were all merged to form the new Ministry of Defence in 1964. The Lord High Admiral is the titular head of the Royal Navy. Most have been courtiers or members of the Royal Family, and not professional naval officers. The office of Lord High Admiral is one of the nine English Great Officers of State. The Deputy First Sea Lord (D.F.S.L.) was a senior Royal Navy flag officer on the Board of Admiralty of the Royal Navy. The Glorious Revolution of 1688 rearranged the political map of Europe, and led to a series of wars with France that lasted well over a century. This was the classic age of sail; while the ships themselves evolved in only minor ways, technique and tactics were honed to a high degree, and the battles of the Napoleonic Wars entailed feats that would have been impossible for the fleets of the 17th century. Because of parliamentary opposition, James II fled the country. The landing of William III and the Glorious Revolution itself was a gigantic effort involving 100 warships and 400 transports carrying 11,000 infantry and 4,000 horses. It was not opposed by the English or Scottish fleets. The Admiralty War Staff was the former senior naval staff operational planning organisation within the British Admiralty during World War I. 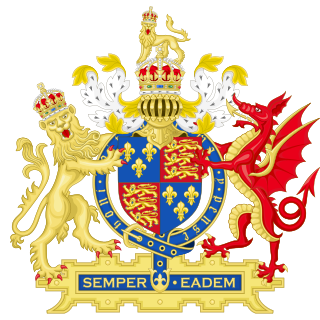 It was instituted on 8 January 1912 and was in effect a war council whose head reported directly to the First Sea Lord. It existed until 1917. After the war ended, it was replaced by the Admiralty Naval Staff department. The Department of the Accountant-General of the Navy also known as Accountant-General's Department was the department charged by the British Government with reviewing all naval estimates, conducting naval audits and processing payments. from 1829-1932. The Admiralty Navy War Council was a temporary war planning and naval strategy advising committee of the Admiralty established in October, 1909 under Admiral Fisher it existed until 1911 when it was later replaced by the Admiralty War Staff. The Civil Lord of the Admiralty formally known as the Office of the Civil Lord of Admiralty also referred to as the Department of the Civil Lord of the Admiralty was a member of the Board of Admiralty who was responsible for managing the Royal Navy's supporting civilian staff, the works and buildings departments and naval lands from 1830 to 1964. The Department of the Director of Dockyards, also known as the Dockyard Branch and later as the Dockyards and Fleet Maintenance Department, was the British Admiralty department responsible from 1872 to 1964 for civil administration of dockyards, the building of ships, the maintenance and repair of ships at dockyards and factories, and the supervision of all civil dockyard personnel. The Admiral Commanding, Reserves, (ACOMRES) was a senior Royal Navy post that existed from 1875 to 1976.